This course is suitable for clinicians (eg. endocrinology, rheumatology, care of the elderly and clinical chemistry), laboratory scientists, radiologists, nurses and physicians with a special interest involved in the clinical management of patients at risk of osteoporotic fractures. Please note: delegates are invited to do EITHER OR BOTH of the days. 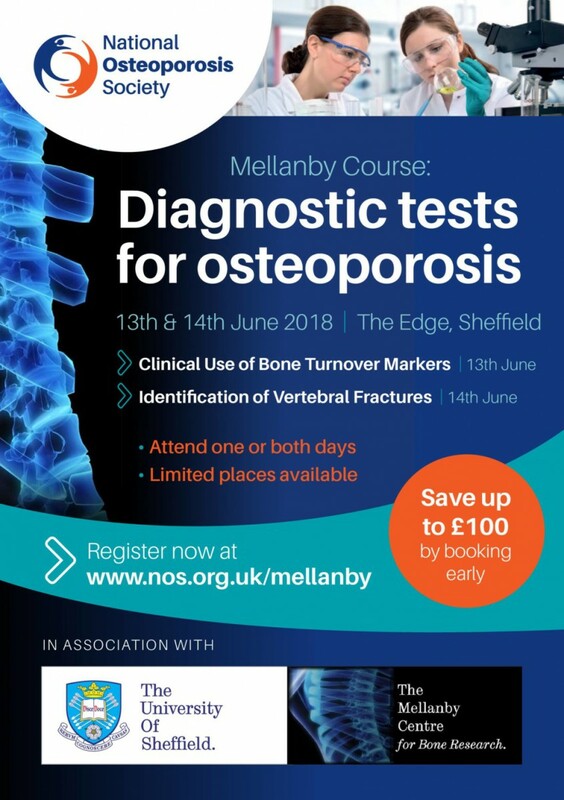 This two-day course applies the scientific knowledge and research expertise developed within the Mellanby Centre and within the National Osteoporosis Society to offer high quality training for clinicians, allied health professionals and laboratory scientists working in the field of osteoporosis and other metabolic bone diseases. The content of the Osteo-Circuit web site is for informational purposes only and not intended to be a substitute for professional medical advice, diagnosis or treatment. Always seek the advice of your Doctor or other qualified health provider with any questions or concerns you may have regarding a medical condition. © 2018 Osteo-Circuit. All Rights Reserved.